The Carolina Panthers have been pushing the state of South Carolina to build them a new headquarters and practice facility in Rock Hill, SC, just over the border but still considered within Charlotte metro area. Gov. Henry McMaster (R) supports the idea, and the state House already passed a $115 million tax incentives package for it. South Carolina’s Commerce Department says it’ll have a monster economic impact. All 150 players, coaches, staff members, and owners will move into South Carolina. It’ll create 5,715 new jobs. All told, it’ll have an economic impact over 15 years of $3.8 billion. Wow. The Panthers just strolled south of the border and offered South Carolina policymakers a way to turn $115 million into a staggering $3.8 billion! How magnanimous! As Roy Cordato could tell you, once you acknowledge costs, the “impact” game comes to a halt. Economic impact studies are geared specifically to ignoreopportunity costs. 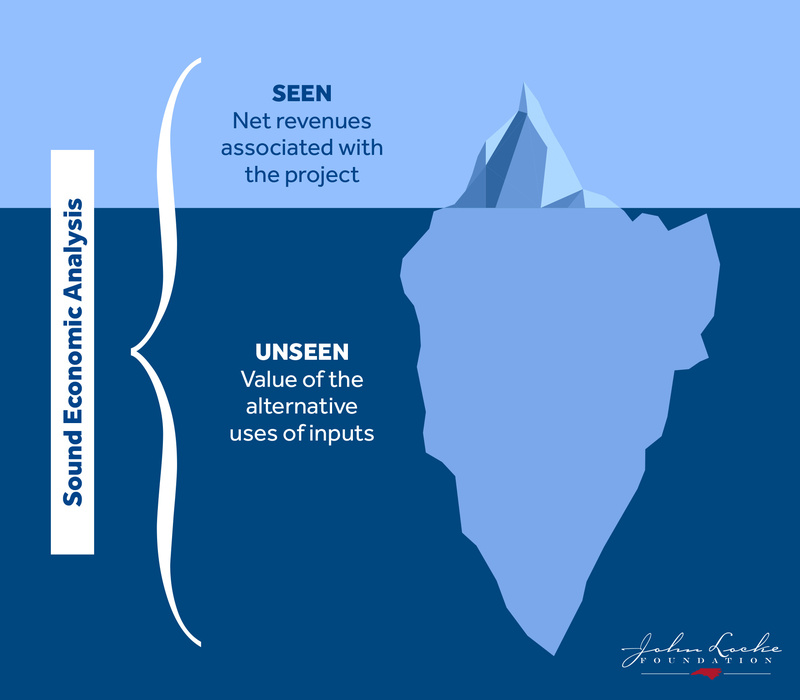 See his report on “Economic Impact Studies: The missing ingredient is economics” for the difference between them and sound economic analysis. Panthers football players, coaches, and the team’s mascot are visiting the State House today to lobby for the incentives.